Before you start shopping around for your next new car, it’s important to check out the best Chicago area Chevy dealer – Chevy of Naperville. Between an extensive inventory of the best and latest Chevy models, to an unparalleled commitment to customer service and satisfaction, Chevy of Naperville is the only Chevy dealer you should consider for your next bow-tied purchase. What sets Chevy of Naperville apart from other Chicagoland Chevy dealers? Where do we begin? 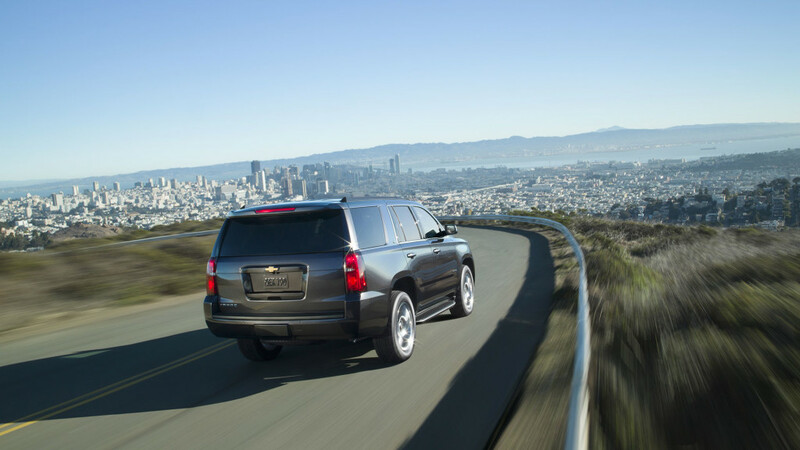 Chevrolet prides itself on staying ahead of the automotive curve with respect to technology, safety, and performance. Reflecting that cutting-edge commitment is the inventory at Chevy of Naperville, consistently updated and maintained by the team’s dedicated sales force. Whether you already know which new Chevy model is right for or you feel a bit overwhelmed by the award-winning selection, check out the choices on Chevy of Naperville’s website. Think of it as stress-free, no-obligation window shopping, done from the comfort of your home, office, or wherever you are connected to cyberspace. Once you’ve determined which model best suits your daily driving needs and preferences, come down and take it for a test drive. Better yet, if you’re still on the fence, have some fun and do some comparison driving in a few models. The sales staff at Chevy of Naperville is patient and determined to get you in the right vehicle, not just land the sale. During your test drive, we encourage you to ask questions, not only about the vehicle itself, but assurances and protections backed by the manufacturer and our dealership specifically. All too often, trying to secure financing, whether as a lease or loan, is fraught with anxiety and can challenge the confidence of customers with even the best possible credit rating. The finance team at Chevy of Naperville completely understands the emotions associated with financing and approval. As such, each knowledgeable associate works tirelessly to determine the best financial route for your budget. The goal is to get you behind the wheel, certain that you can make your payments and not feel fiscally stretched by your new purchase. After all, money worries take the fun out of everything, and that definitely holds true for significant expenditures like a new vehicle. Another way we instill confidence in out customers at Chevy of Naperville is by staffing our service department with Chevy-certified technicians. Of course, we hope you never encounter any trouble on the road. But, if you do, rest assured we have got you covered. But service isn’t just about repairs. Actually, the heart of every reputable service department pulses to the rhythm of regularly scheduled maintenance. No matter which Chevy make and model you’ve purchased, our service technicians can help you manage the manufacturer’s recommended maintenance schedule in order to keep you vehicle in like new condition as long as possible. A commitment to expert maintenance is central to your car’s optimal performance, so get to know our service department and get those appointments on your calendar. Get ready to experience a new car shopping experience unlike any before. Call or come by Chevy of Naperville whenever you’re ready because we are ready and waiting to prove that we are your best Chevy dealer in the Chicago area.